Low, boxy coffee tables can transform into dining tables with just a few moves. The two wooden platforms that join together to make the top of the coffee table raise up and out thanks to some hinges. Another platform can be placed between those platforms, creating a long dining table that can seat up to eight people. Transforming coffee tables make for ideal dining sets for small spaces. They take up only the square footage of the coffee table, yet they can easily accommodate a large dining party when needed. Some space saving dining tables can start out as small as individual desks. 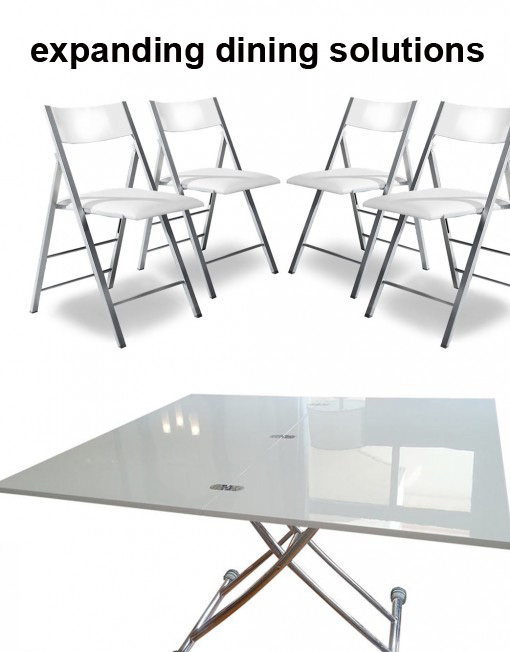 These extending dining tables have just enough space for a single chair and a laptop when they are in their initial position. You then pull apart the legs to reveal a metal frame that can hold eaves for the table top. When fully extended, these dining tables can seat up to 10 to 12 people. These extending dining tables are great choices for small apartments because they take up the smallest amount of space when not in use. The eaves can be stored in a closet when not in use, and the table can be used as a desk for personal study or bill paying. 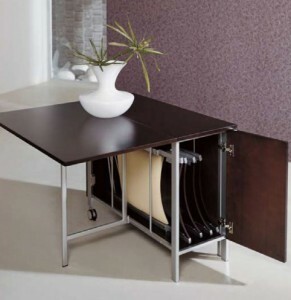 When extended, the table offers plenty of space and a stylish design. Console tables are nice accents for tiny apartments. They can be placed in hallways or dining areas to hold decorative pieces like candle sticks or accent trays or bowls. Transforming console tables can also convert into dining sets for small spaces. The console table has leaves that fold down on the sides. When you want to convert the unit to a dining table, you just move the table where you want it and raise the eaves. You can seat up to six people, which is perfect for your family dinners. Transforming console tables are great for tiny apartments since they allow you to clear up a lot of floor space when you are not eating, making your apartment feel less cluttered and more open. Fold-out dining tables are the original space-saving dining tables. These can be used for family dinners, for impromptu poker games, or even for your next yard sale. Today’s fold-out dining tables aren’t just flimsy plastic tables. 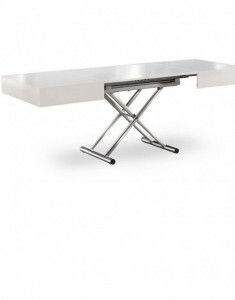 They are stylish tables made of high-quality materials that will last for years and years. These tables make great dining sets for small spaces since they can easily be folded down and put away in a closet or even under a bed when not in use. You can buy these tables in a variety of colors to match your decor, and you can pair them with stylish fold-out chairs that can also be easily stored. Or you can use your living room seating with the table to save even more space. 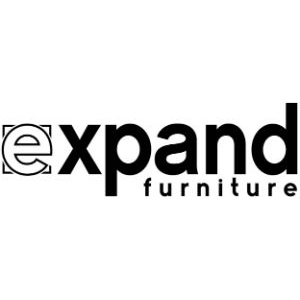 Whatever style of space saving dining tables you have your eye on, Expand Furniture has a number of options to meet your needs. 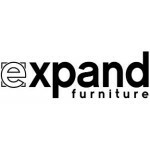 We sell a variety of extending dining tables, transforming tables, and other dining sets for small spaces. 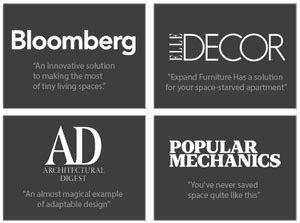 We help you to get the most out of your space without sacrificing the functionality you need. 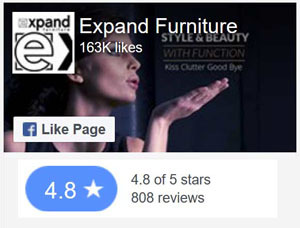 Our extensive catalog includes a number of other space-saving furniture items, including folding chairs, hidden beds, loft systems, and modular storage. We help you take advantage of every square inch of your home or apartment, and we ensure you get the solutions you need while also creating stylish decor. Explore our catalog or contact us today to find the pieces you need.